Like vegetables, fruits are very healthy because they are an excellent source of numerous vitamins, minerals and antioxidants. For example, many fruits contain large amounts of vitamin C, the nutrient that assists with iron absorption, is required for wound healing and plays a part in ensuring that our immune system functions well. Unlike vegetables however, many fruits tend to contain significant amounts of sugar, giving them their sweet taste. It is for this reason that experts generally recommend fruit intake should be limited to 2 cups per day. If you are obese or diabetic, it is important to speak to your doctor so that he or she can advise you on how much fruit you should be eating. There are certain fruits that contain much more sugar than others. These are the ones we will be discussing in this article. When fruit is dried, most of the water evaporates away, leaving behind concentrated amounts of sugar. It is for this reason dried fruits such as dates contain the most sugar. Indeed, dates are very sweet, and are often referred to as “nature’s candy”. Dried fruits are also much higher in calories than their fleshy counterparts. Together with sugar, dates are a source of small amounts of potassium, magnesium, manganese and iron. They are also rich in antioxidants. Because dried fruit contains far more calories and sugar then fleshy fruit, it should be consumed in moderation. 1 or 2 mejool dates per day would be the recommended amount. Like dates, raisins are another type of dried fruit that are enjoyed worldwide, either on their own, or as part of other foods such as trail mixes, health bars and baked goods. They are obtained by drying grapes, which means they retain a lot of the sugar and nutrients that grapes have, in concentrated amounts. A number of studies have found that the consumption of raisins may reduce cardiovascular risk factors and increase feelings of fullness, amongst other benefits. However, just like with dates, it is important to eat raisins in moderation. Yet another type of dried fruit, prunes are what you get when you dry plums. They are a good source of vitamins A & K, and studies have also shown that they may help prevent cancer and heart disease because of their high antioxidant content. Prunes and prune juice are well known for their laxative effects, which is thanks to their high fiber and sorbitol (a type of sugar alcohol) content. In fact, prunes are considered to be more effective than many other laxatives, which is why they are recommended during times of constipation. Figs are native to Asia and the Middle East but are now grown all around the world. They can be eaten raw or dried, with the latter containing more calories, sugar and nutritional value. 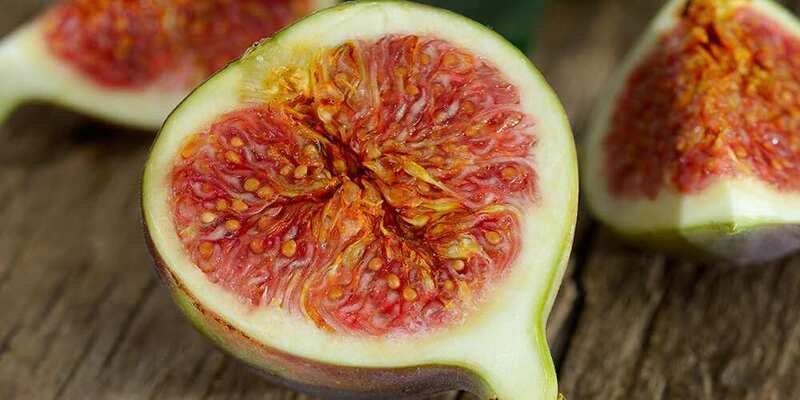 Like with many other fruits, figs are abundant in powerful disease fighting antioxidants. Studies have found that they have anticancer and immune boosting properties. Figs are very versatile, meaning they can be incorporated into all sorts of delicious recipes. This includes granola, health bars, salads and sauces. You can find lots of fig recipes here. One of the most delicious fruits out there, grapes have been enjoyed by humans for a very long time. 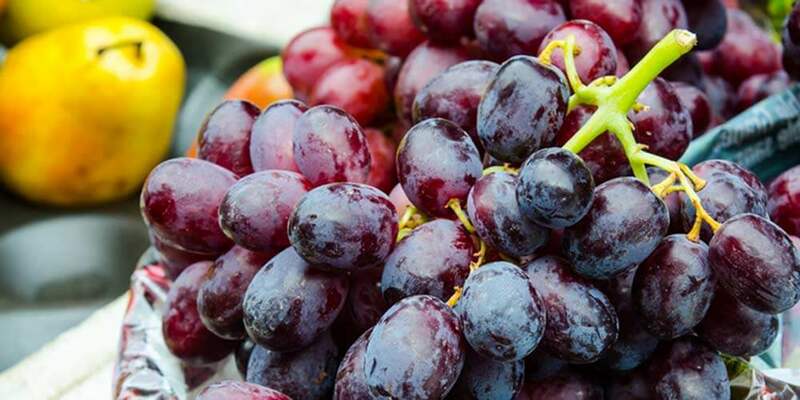 A cup of grapes provides you with 27% of your daily value (DV) of vitamin C and 28% of your DV of vitamin K.
Grapes also contain resveratrol, a phytonutrient mostly found in their skins, that protects cells from free radical damage, lowers blood pressure and keeps the heart healthy. You can find more in-depth information on these benefits here. Both red and green grapes are nutritious and should be a part of your diet. Grapes are a great replacement for fat rich desserts or candy; their high sugar content helps to satisfy a sweet tooth for a fraction of the calories. Pomegranates contain unique beneficial compounds, making them one of the healthiest fruits on the planet. These compounds are punicalagins and punicic acid, which give pomegranates many of their health benefits. One of these is their powerful anti-inflammatory effects. Reducing inflammation in the body in turn reduces the risk of several types of diseases, such as cancer. Indeed, studies have found that pomegranates may be effective at fighting prostrate and breast cancer. Other studies have also found that pomegranates may help fight arthritis, improve memory, reduce the risk of heart disease, increase exercise performance and also fight infections caused by microorganisms. From their very sweet taste, it is easy to tell that mangoes contain a fair amount of sugar. This is together with significant amounts of dietary fiber, vitamins and minerals. One of these is vitamin A, which is often found in orange coloured fruits such as carrots, sweet potatoes and papaya. Much of this is in the form of beta carotene, which the body converts to vitamin A, a fat soluble vitamin that plays a part in maintaining vision and ensuring the immune system remains healthy. There’s lots of ways to eat mango. You can enjoy it on its own, add it to smoothies or freeze it and then prepare a healthy sorbet. As bananas mature, their colour changes from green to yellow and their sugar content increases, which is clearly noticed by their change in sweetness. Bananas are a source of many important nutrients, including vitamin C, vitamin B6, potassium and dietary fiber. Consuming bananas may be beneficial to digestive, heart and kidney health. They have a soft texture and can be enjoyed in a variety of ways. For example, bananas are often a primary ingredient used when preparing smoothies. They can also be frozen and then used to make healthy ice cream. This is a fruit that is not as commonly known as many others in this list. It is native to South America and grown in tropical and sub-tropical areas of the world. Passion fruit is oval in shape and has a tough outer rind with a juicy interior, consisting of many seeds. A cup of passion fruit provides you with large amounts of vitamin C, vitamin A, iron, phosphorus and potassium. It is also a source of compounds such as carotenoids and polyphenols, both of which have antioxidant effects. 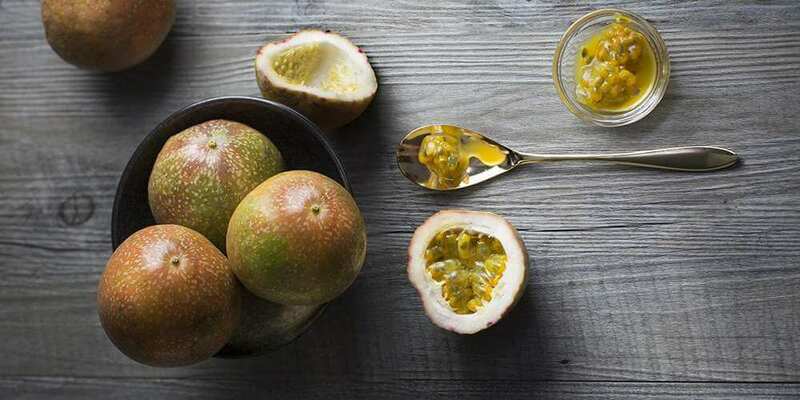 To eat passion fruit, you need to cut it in half to get to the juicy fleshy inside. This can then be eaten on its own or added to salads, smoothies, yogurt and desserts. Apples are definitely one of the most popular fruits out there, being available pretty much everywhere in the world. There are a lots of varieties, including Gala, Fuji, Braeburn and Granny Smith, to name a few. Their colours also vary, from bright green to deep red. Because apples are high in fiber and water, they are filling, which is beneficial when trying to lose weight. In this study for example, overweight women added apples or oat cookies to their diet, both of which had similar amounts of calories and fiber. The participants who ate apples lost more weight and ate fewer calories overall. Studies have also found that apples may be beneficial for gut, heart and bone health. If there is one fruit out there that has been touted for its health benefits, its definitely the blueberry, and is often referred to as a “superfood“. One reason for this is because blueberries are thought to have the highest antioxidant capacity when compared to other common fruits and vegetables. This study found that drinking a mixture of blueberry and apple juice reduced free radical damage to DNA by 20%. Another study found that obese adults who ate a 50 g serving of blueberries daily had a decrease in LDL cholesterol oxidation by 27%. Fresh blueberries are the best kind but may not be available where you live. If that’s the case, opt for the frozen variety instead. Another very sweet tasting tropical fruit, the pineapple has a unique appearance. 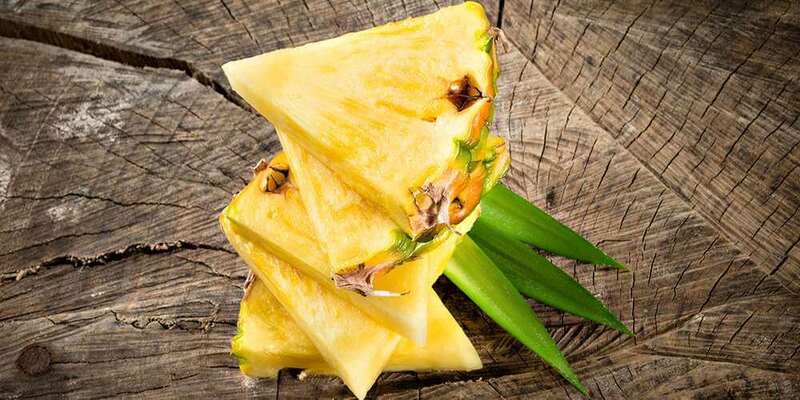 It is also the only known source of bromelain, an enzyme that is thought to fight inflammation, reduce the risk of cancer and improve gut & digestive health. Pineapples are also one of the top 10 best fruit sources of vitamin C, providing you with all of your daily requirement per one cup serving. Additionally, they contain small amounts of the B vitamins, magnesium and potassium. They can be enjoyed in similar ways to other tropical fruits, such as mango. The amount of sugar found in fruits varies greatly, with dried fruits containing the most amount. The table below shows how much sugar is found in 100 g of various fruits. You may also find our article on low sugar fruits interesting.